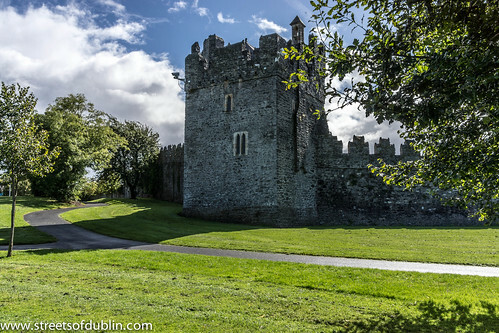 Malahide Castle, a photo by infomatique on Flickr. 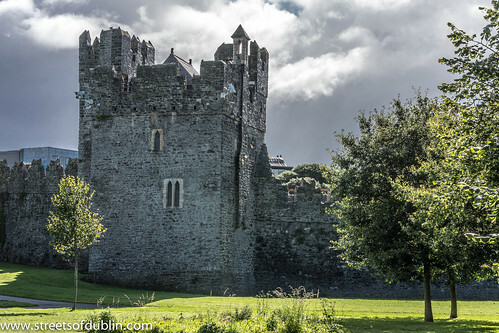 Malahide Castle County Dublin (Ireland), a photo by infomatique on Flickr. 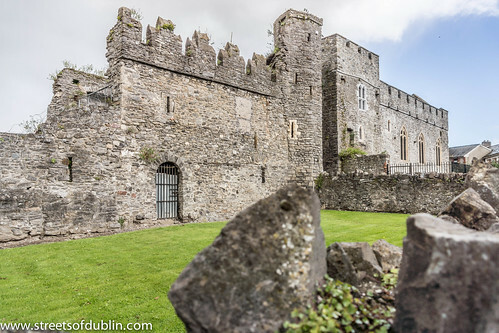 Swords Castle was built as the manorial residence of the Archbishops of Dublin around 1200 or a little later in Swords, just north of Dublin. 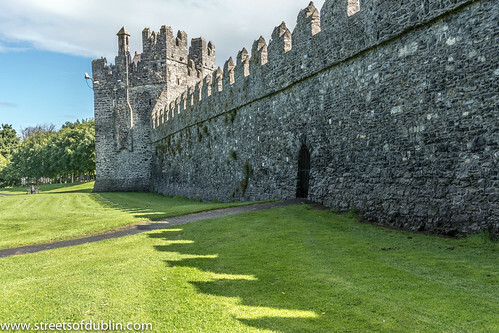 It was never strong in the military sense, but covers a large pentagonal walled area of nearly 1.5 acres (6,000 m²) with a tower on the north, probably the Constable's residence, and an impressive gateway complex on the south. 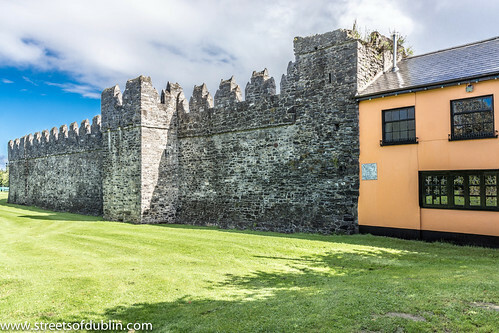 The warder may have occupied the quarters to the left of the gate, while to the right was the janitor's room with the priest's room overhead. 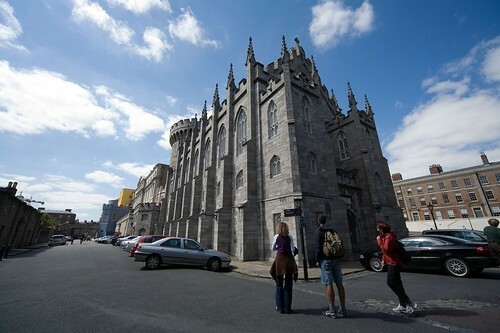 The adjoining chapel, built in the late thirteenth century, was probably used as the Archbishop's private oratory. 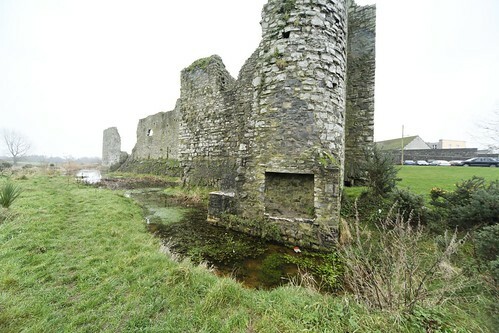 Other buildings, recorded for an inquisition in 1326, have now vanished, including the great hall on the east side of the enclosure. 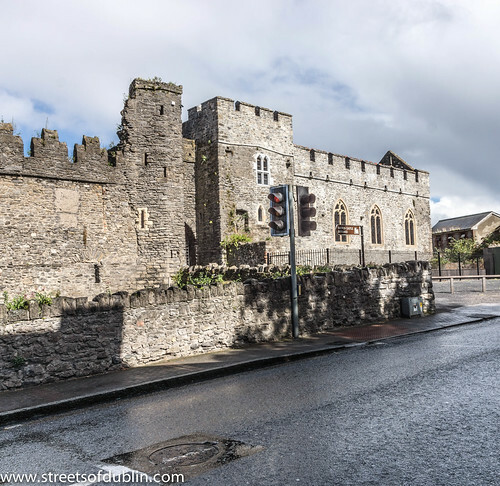 The Archbishop abandoned Swords once a new palace was built at Tallaght in 1324 - a move no doubt encouraged by damage sustained during Bruce's campaign of 1317. 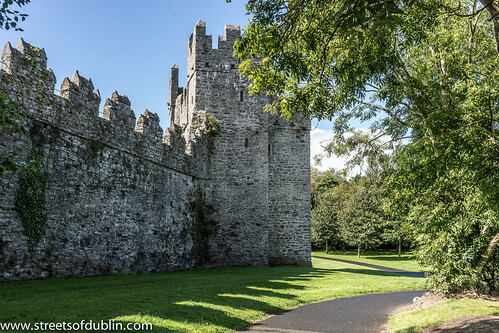 The stepped battlements suggest some form of occupancy during the fifteenth century, but by 1583, when briefly occupied by Dutch Protestants, it was described as "the quite spoiled old castle". 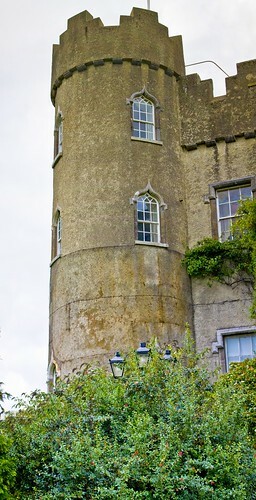 It was used as a garden in the nineteenth century and sold after the Church of Ireland was disestablished. 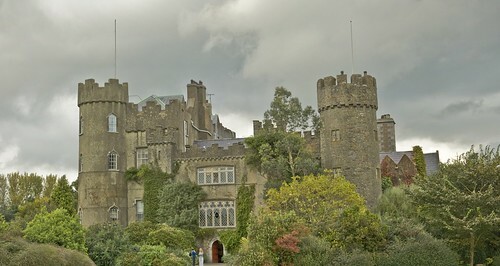 The newly renovated castle was used as a film location for the production of TV series The Tudors in spring 2010.